Educators, parents, and politicians in Ontario are reacting to reports the provincial government plans to cut thousands of full-time teaching positions over the next four years. According to a memo sent by Ontario’s Ministry of Education to school board directors on Wednesday, 3,475 teaching positions will be phased out for an estimated saving of $851 million. In the notice, the government outlines how many staff positions will be lost each year through attrition, such as when teachers retire, find a new job, or move. In the 2019 to 2020 school year, the memo states that an estimated 1,558 jobs will be lost. The following year, there will be 619 more job losses. In the 2021 to 2022 school year, another 738 positions will be cut. Finally, in the 2022 to 2023 school year, the memo says another estimated 560 positions will disappear. The news comes a day after students from more than 700 high schools across Ontario walked out of class to protest the Doug Ford government’s planned changes to education, including increasing class sizes, mandating online classes, and overhauling autism programs. Harvey Bischof, the president of the Ontario Secondary School Teachers’ Federation (OSSTF), said he suspects the cuts to teaching jobs will actually be higher than the estimates laid out in the memo. He told CTV News Channel the number could be as high as 10,000, but they won’t know for certain until the government releases documentation with a breakdown of the figures. 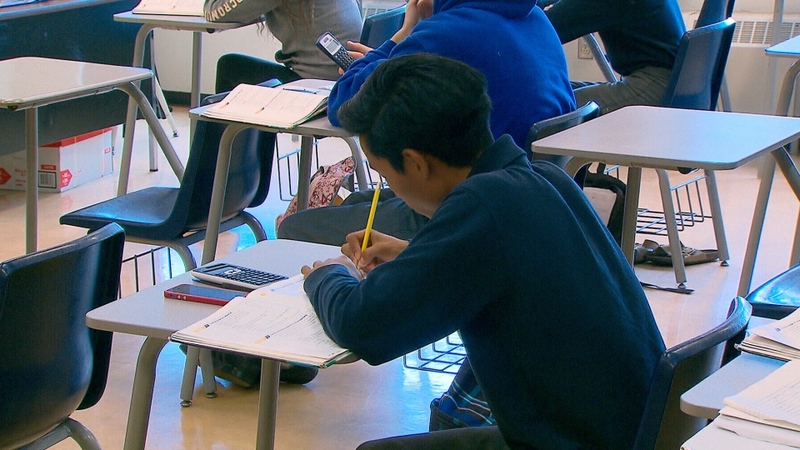 “The government’s talking about the loss of thousands of teaching positions in the province and that means significant increases in class sizes. That means much less ability to give students the individual attention that my members want to. It means that students will have far fewer options in terms of the courses they select,” Bischof said. Ontario NDP education critic Marit Stiles, too, said she’s skeptical about the accuracy of the estimates in the memo. “I think that those numbers are, I would say conservative, from what we’re hearing from boards. Boards have not moved away from their estimates of what the impact of these cuts are going to mean,” she said during a press conference on Friday. Bischof called the estimated job losses a “massive reduction” for the education system. On Friday, Education Minister Lisa Thompson said in a statement that Ontario currently has a much lower student-to-teacher ratio than most of the country. She said teacher hiring has increased by more than 11 per cent in the past 15 years while enrollment has declined by almost one per cent. “Year over year teachers’ salaries and benefits have increased while students continue to fall behind in important subjects like math,” she said. Thompson said their attrition-based approach will restore “balance and sustainability” by not filling a total of 3,475 teacher vacancies after educators quit or retire. “Most importantly, our plan ensures that no teachers will be laid off,” the statement read. In response to the announcement, the Toronto District School Board (TDSB) said it projects it will have approximately 216 fewer elementary teachers and approximately 800 fewer high school teachers. The school board said the staffing reductions will cause “significant and far-reaching” challenges, particularly for high schools. The TDSB said fewer teachers will mean fewer course offerings for students, challenges with growing class sizes, negative impacts on students, and difficulty meeting class sizes agreed on in collective agreements. “In short, a reduction of 800 teachers represents an order of magnitude that is unprecedented,” the TDSB said on its website. The Ontario Families for Public Education, a popular Facebook group consisting of “concerned parents,” also expressed unease about the news. “As parents, our primary concern is that we will have 10,000 fewer educators in the building. That is devastating,” the group wrote on Thursday. Despite Thompson’s earlier claim that there will be “no involuntarily job losses,” Bischof said that won’t make a difference for affected students. “The concern there still is larger class sizes, fewer courses for students to select from, and so the impact on the student, whether a teacher has been laid off or retires, the impact on the student is the same,” he said. Bischof said some Ontario classes could balloon up to as many as 40 students with fewer educators on the payroll. As for the impact on future teachers in the province, the OSSTF president said the changes mean there “virtually” won’t be a new hire in secondary schools for years. “We’re talking about five, six years out. There isn’t going to be any new blood coming into the system,” he said. The memo says 3,475 teaching positions will be phased out for an estimated saving of $851 million.